A mysterious figure teleported onto a holographic platfrom in the middle of the Crown Pavilion, announcing that she was Scarlet and that Jennah’s watchknights were now her’s. Everyone watched in horror as the watchknights took on a new appearance and attacked the crowd. Several of the watchknights even melded together, creating a colossal twisted monstrosity. Worse yet, Scarlet fired a rifle at Queen Jennah, Lord Farren, and the emissaries. It didn’t shoot bullets, but shot an explosion which destroyed her speaking platform. Before I could even consider trying to get into the Crown Pavilion to help, Scarlet then said there were four bombs planted nearby. 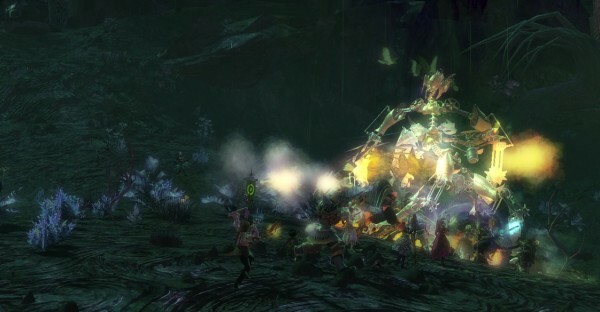 Rox, Braham, and I teamed up to quickly dispose of her twisted minions and diffuse the bombs. 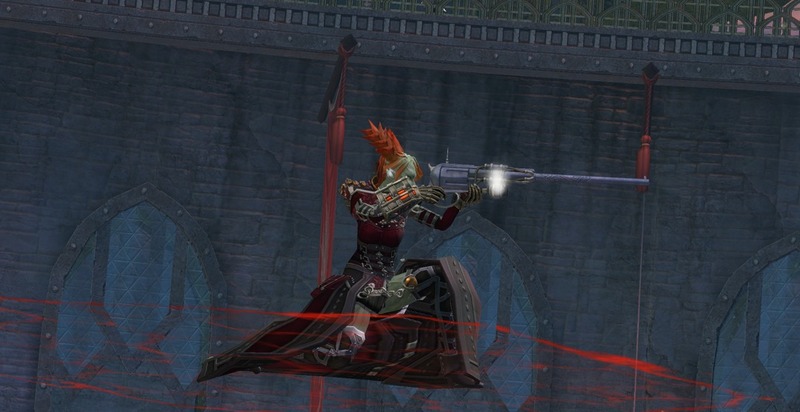 Aetherblade Pirates working with Scarlet had orders to kidnap Hobo-Tron and Marcello DiGiacomo. It’s beyond my understanding why she’d want such terrible minstrels. Even rushing to their rescue, I couldn’t aid them before Aetherblades teleported away with them. With the last bomb disarmed, Scarlet delighted in telling us a fifth one remained, which she then set off. 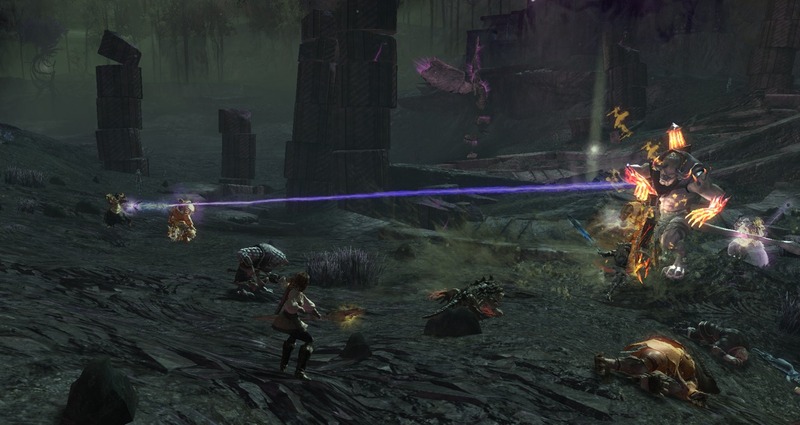 It triggered on the evacuation point, killing civilians and Seraph guards. 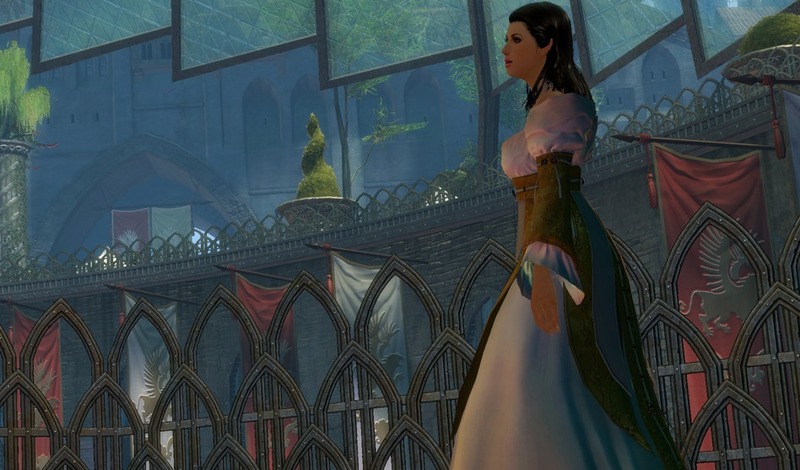 Reporting back to Countess Anise, I discovered that Queen Jennah was perfectly safe. During the closing speech, Anise placed a clone of Jennah in case something terrible like this happened. Logan was furious that no one had bothered to tell him about the plan. As the head of the Seraph and utterly infatuated with Jennah, he felt as if they didn’t trust him. 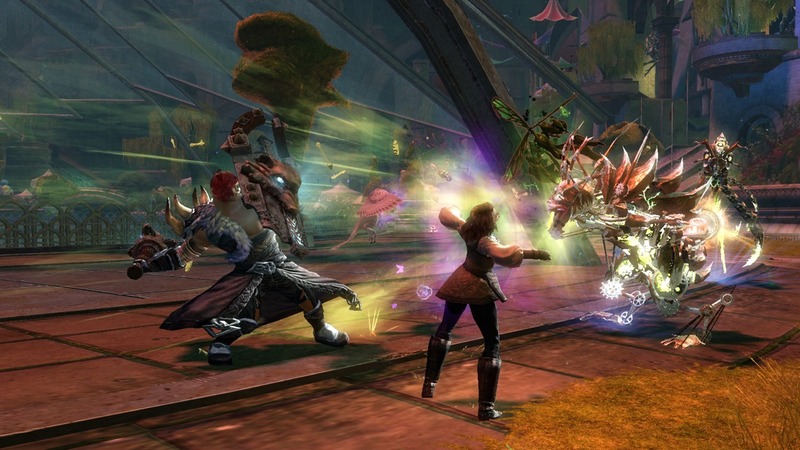 The conversation turned to news of portals releasing twisted minions across Tyria. Scarlet was commanding these from inside the Crown Pavilion, which is now blocked off. Somehow, we needed to find a way in and kill Scarlet to stop the attacks and rescue Lord Farren and the emissaries. 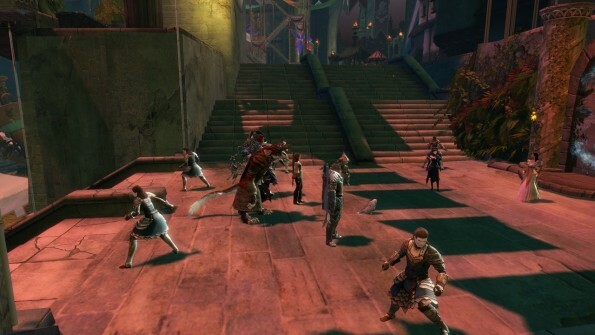 Rox’s keen eye spotted an asuran dignitary at the ceremony. Vorpp’s years as an engineer, “thaumo-technical” skills, and understanding of teleportation could aid us in breaking through the Crown Pavilion. Flattered with the prospect of showing up Scarlet, the asura agreed. 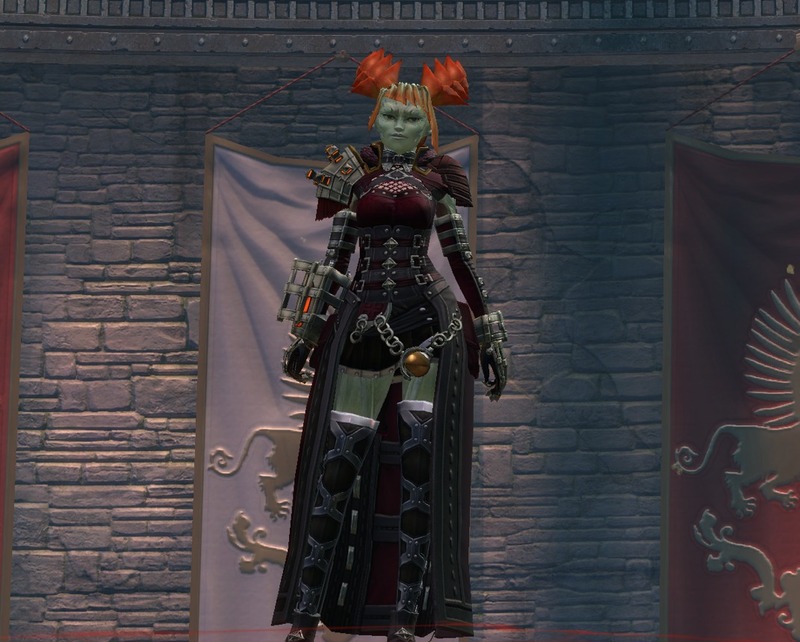 Vorpp had heard of Scarlet before: she earned advanced engineering degrees from all three Rata Sum’s colleges. Speaking with him after the conversation had resolved, I also learned that Scarlet had been trained by charr, norn, and hylek as well. She also claimed to have seen the Eternal Alchemy and understood it, which goes against what the asura perceive it to be. Emissary Vorpp setup an unfinished portaling unit by the Crown Pavilion mere minutes after the attack. To better understand Scarlet’s methods, he asked me to investigate the first portal invasion site in Gendarran Fields. His holographic communicator will scan the areas when I bring it close to the points of interest. It also allows for us to talk and plan our next course of action. 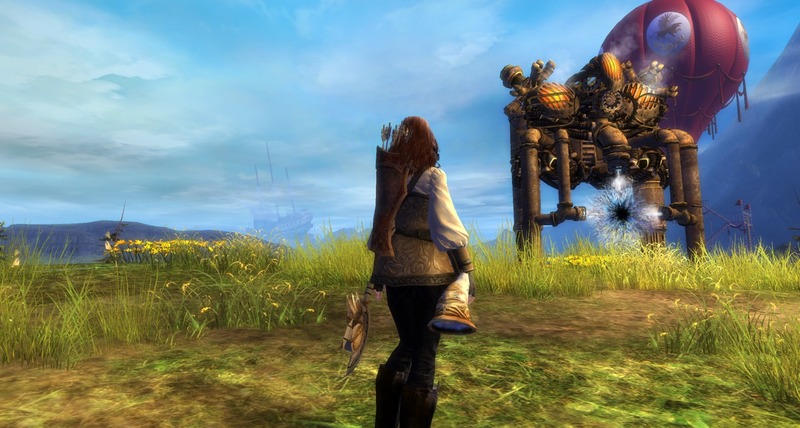 A large mechanical portal unit was still intact by the Ascalon Settlement in Gendarran Fields. Its design is identical to those found in Lornar’s Pass, which are used by the steam creatures. 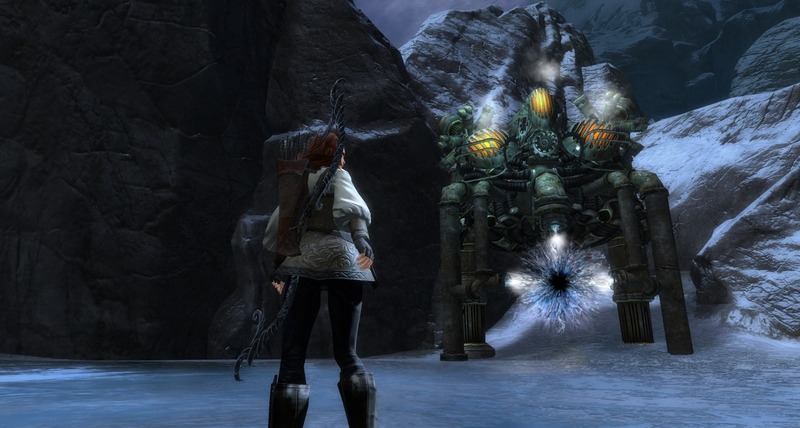 One thing to note about the steam creature portals, is that they implode when completely destroyed. The pipes and such, just fall into the portal and disappear. A local from the settlement mentioned that the sky pirates were on their way to Frostgorge Sound and Fireheart Rise. Vorpp sensed a pattern to the attacks, and required me to gather data from five attacks. The number of portals opening and closing would give Vorpp enough information to unravel the secret to Scarlet’s portals. 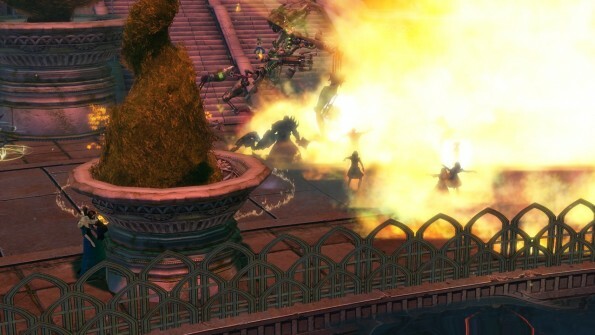 The early reports we heard after Scarlet’s attack were right; twisted minions were spread across Tyria and were attacking everyone. 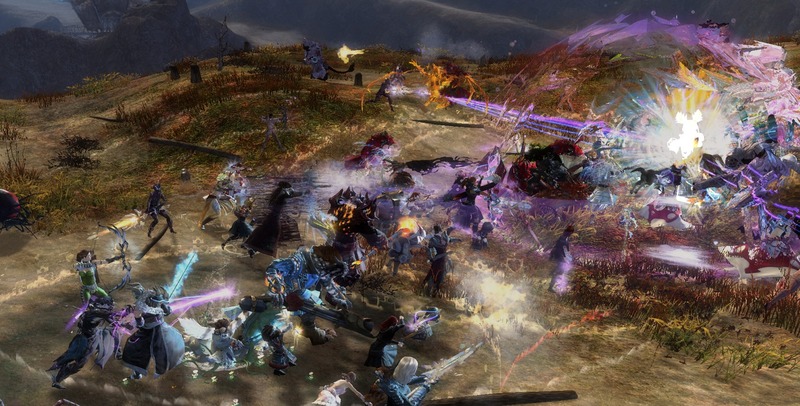 Aside from Southsun Cove, Orr, and the small areas outside major cities, Scarlet’s portals were spread far. Every hour, her minions would pick a new area to terrorize. Anyone arriving to help had about half an hour to kill minions and drain the portals before they moved on. Only the presence of a dragon’s champion would deter the portals from opening. 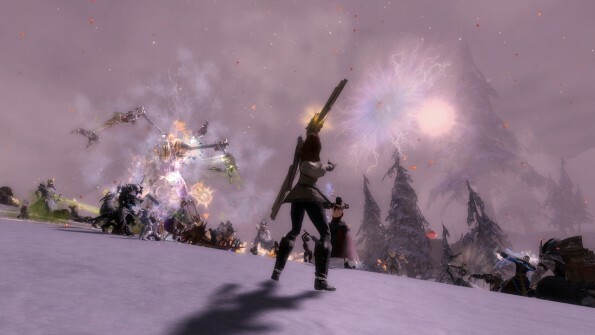 The Molten Alliance appearance during these battles suggests that Scarlet is the mastermind behind their formation. No one has seen the alliance since their Molten Facilities were destroyed. When dredge and Flame Legion were interrogated after being brought to justice, they refused to name anyone else involved. A dredge captive did mention a “…fast-talking friend from the city“, but I passed it off at the time. Perhaps that was Scarlet or Mai Trin. Steam creatures have also made a recent appearance after the Queen’s Jubilee. 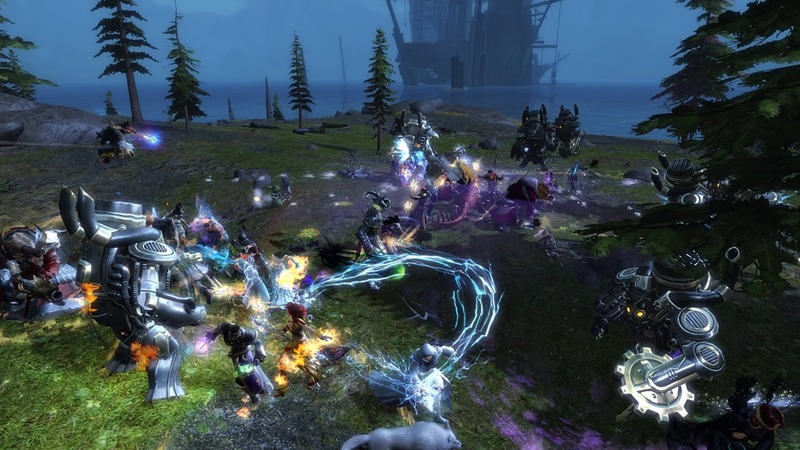 Some were spotted attacking emissaries trying to board the balloons to Divinity’s Reach. Now Scarlet’s portals are sending waves of them across Tyria during her new assault. I’ve never really understood how or why the steam creatures came to Tyria. 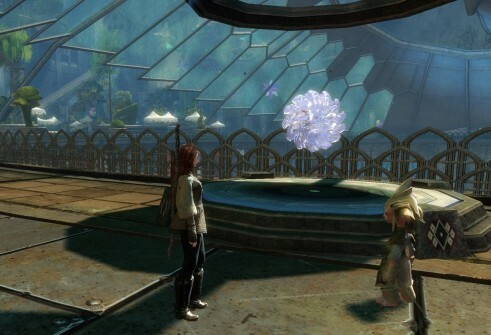 An asura friend of mine reluctantly admitted to creating an infinity ball. The device led her future self and another asura named Shodd to create steam creatures. I found the story to be unbelievable, but it made me weigh a possible explanation in my mind. If the technology exists and it was created by a mere budding prodigy, there’s no reason why someone else couldn’t have also stumble across such a discovery. 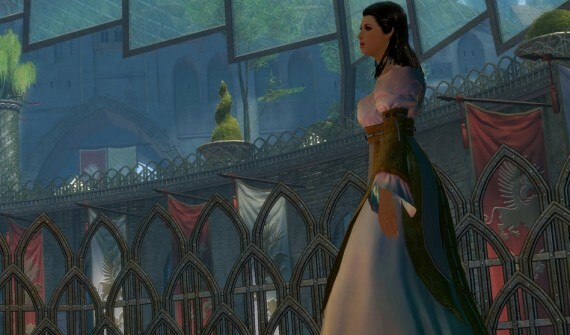 Aetherblade Pirates were seen during the initiation of the Queen’s Jubilee. Their sky ships have been seen flying across every region (except Southsun Cove and Orr). During Scarlet’s focused portal attacks, even more Aetherblades have flown in to finish the job. The sheer number of their members is terrifying. How did Scarlet recruit so many people to join her cause? 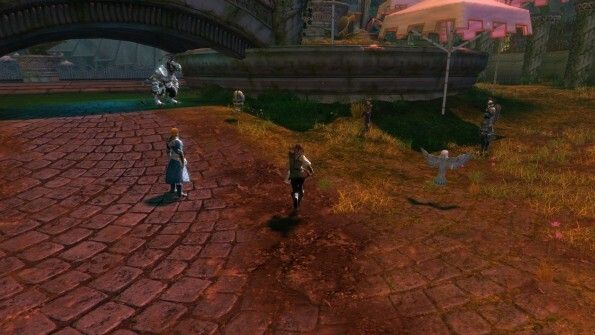 It was tiresome to race across every area to keep up with the portals opening. With just about half an hour to complete the mounting task, tempers rose and adventurers banded together. Some people rose to the job of commanding these groups and spread out to stop the attacks. Nearing the end of a half hour, if we successfully destroyed the majority of the portals, Scarlet would appear and challenge everyone to fight her. She also sometimes appears during our battles, usually pulling people out of combat, sniping those running to the next portals and such. Even as we focus our attention on her at the end of the battle, she teleports away before we can bring her to justice.